Interested in facilitating a Book to Art Club at your library, school, university, with a group of friends? Have questions? See if we’ve covered them below. You might also find the About page useful. 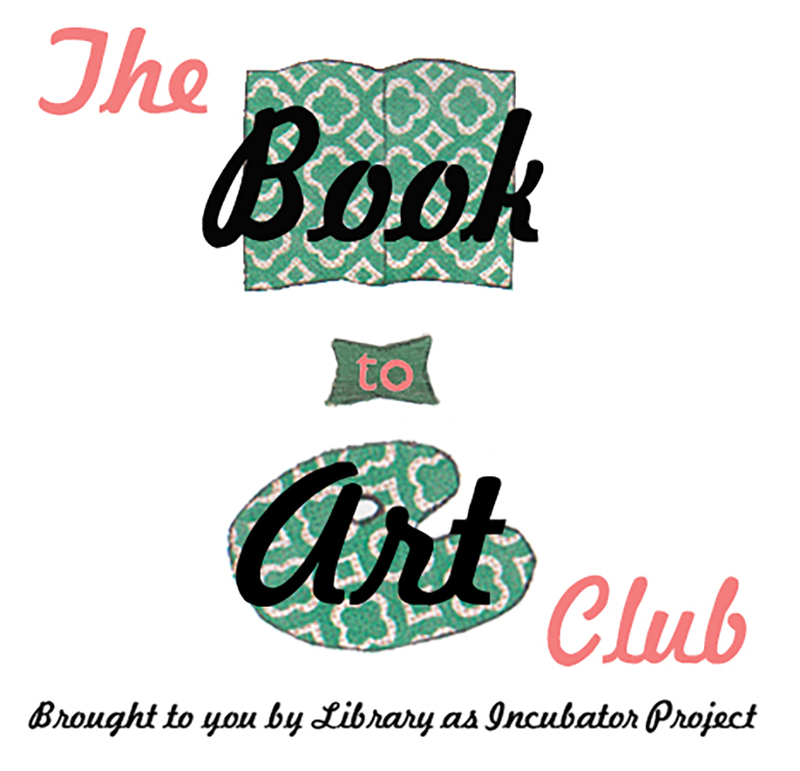 The Book to Art Club is based online AND in person through libraries, schools, universities, and other institutions. The Book to Art Club website is updated with a new featured title every few weeks. Individual chapter organizers or participants can determine whatever timeline / title order works best for your group. You can find the complete catalog of Book to Art Club featured titles in the Titles section. The Book to Art Club has a wide reaching social media presence (SHOCKER). You and your chapter members can keep up with book discussions and project ideas on Facebook and Pinterest and in other places with #book2art. You’ll see that we’re using these platforms for different things related to Book to Art Club. On Facebook, we hope it’s a place for Book to Art Club members to connect and share their ideas and photos. On Pinterest, each title has its own board with “additional resources” and project inspiration. Uh, so how do I actually host a club? Here are some ideas and suggestions to get you started. The point of Book to Art is to pair a book reading and discussion with a hands-on project, and in so doing, reach a deeper understanding of the book’s themes, history, context, etc. There are a lot of different ways to implement the club, so keep an open mind and feel free to adjust depending on your group’s needs and wants. Where to find discussion questions? The links we provide in our monthly meeting posts usually link to discussion questions assembled by the book’s publisher, or from libraries, book blogs, and other sources. Stay and Play. Have club members bring art supplies they have on hand (it’s great if they’re willing to share with each other) and work on projects during the meeting. Note: time flies when you’re having fun and working on projects. Don’t feel like you need to keep the conversation going at all times – open with some discussion questions while members are working on their projects. Share your project progress at the middle and the end of the meeting. Take photos! Show and Tell. Discuss the book and the art in one go. This requires each club member to have a finished or nearly finished art project to share during the meeting. Intersperse your book discussion questions with sharing times, when each member shares their art work and talks a bit about why they decided to go with their particular medium, how it ties in to the book, etc. Note: if you still like the idea of making something during the meeting, have a simple but book-related craft ready to make and take during the meeting. Take photos! Talk then Play. You can also pull the group together to discuss the book and project ideas as a group. Use our Pinterest boards, books pulled right from the library’s collection, and each other to pool a bunch of possible projects. The idea is that each member will walk away from this meeting with a project idea. Have each person either bring their project to the next meeting (you can even combine the Talk then Play format with the Show and Tell format) or take photos and submit them to the Book to Art Tumblr. Note: want to give your club members’ hands something to do during the discussion portion? Consider printing off grown-up coloring pages and providing boxes of brand-new crayons for your club to get their fingers working and wheels turning.